Amazon: If you have Prime, you may also have free returns so Amazon is actually a great place to buy maternity clothes. I love this floral one and this black maxi dress to wear in the summer or fall. I’ve found they grow easily with me over the various trimesters and weeks of change. I also got these amazingly comfortable sleep nursing maternity bras. 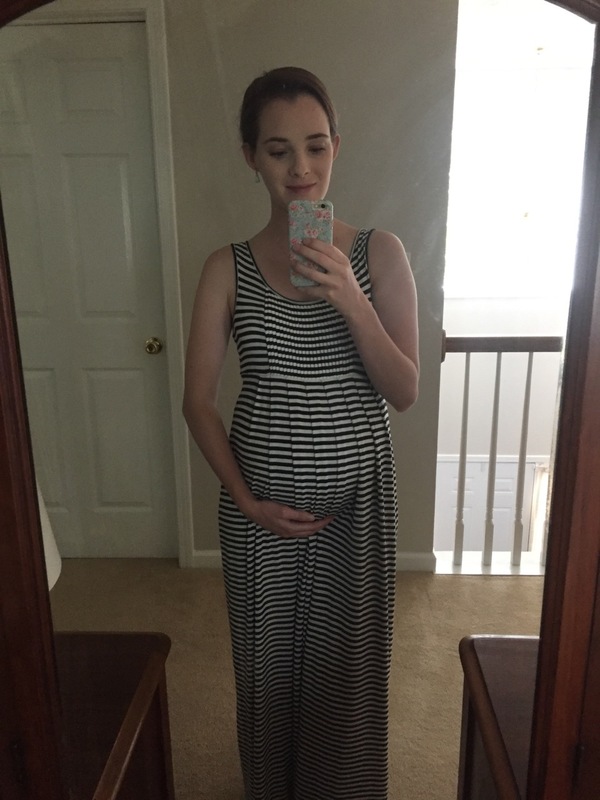 ASOS: I’ve also found some super cute maternity dresses through ASOS, especially if you shop their clearance. They have free, easy returns. I found this lace dress on sale, but plan to buy some nursing clothes from ASOS later on. Target: I have a couple of these Target nursing tanks in various styles and I hear great things about them. I like this one and this one a lot. Target is also great for all your other under clothing needs, because once again, they are affordable as well as easy to exchange sizes. *Borrow maternity clothes from a friend. This has been a huge help for me and I definitely plan to share with other friends when they get pregnant! You only wear them for a short time, so its nice to have friends who share. 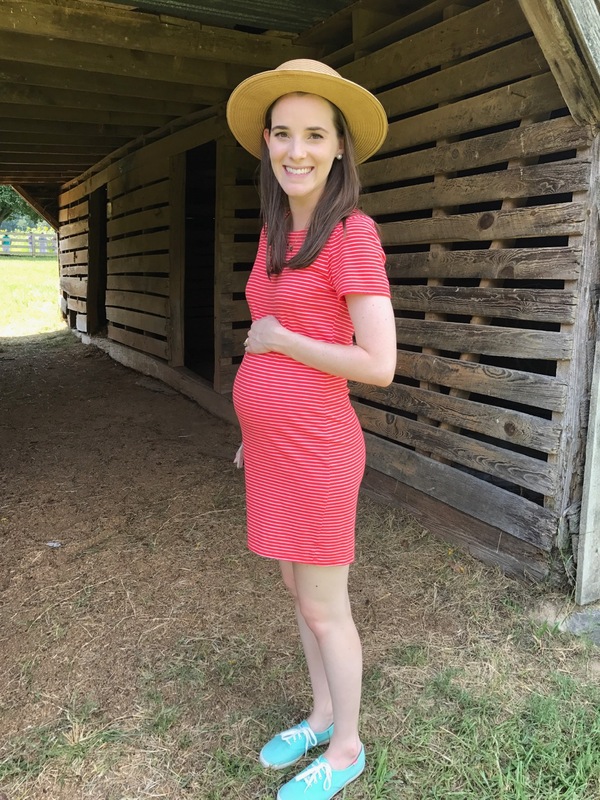 Like a lot of people, I found that I didn’t need a ton of maternity clothes in the first trimester but my normal clothes did start to feel a tad bit different. I wore flowy things and long dresses that I already had. I was able to make a lot of shorts and pants work because I did the old rubber band trick. 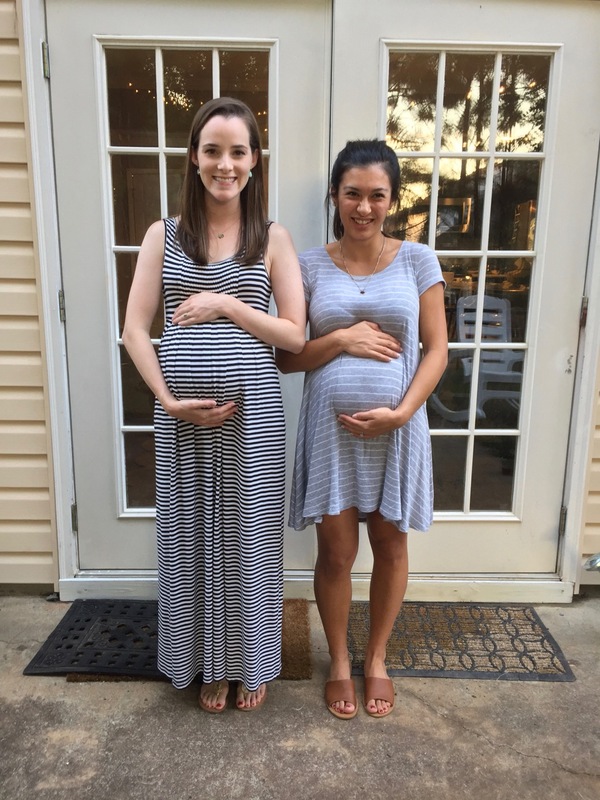 When some pants started getting tight, I found that the low cut maternity shorts worked best rather than the ones that go all the way over your belly. I found that my normal Walmart workout shorts still worked great, as well. I was 16, almost 17 weeks here and this non-maternity maxi dress was perfect for the way my belly was starting to grow. I’ve been able to wear it the entire time, because the waist adjusts with that drawstring and it has plenty of room. 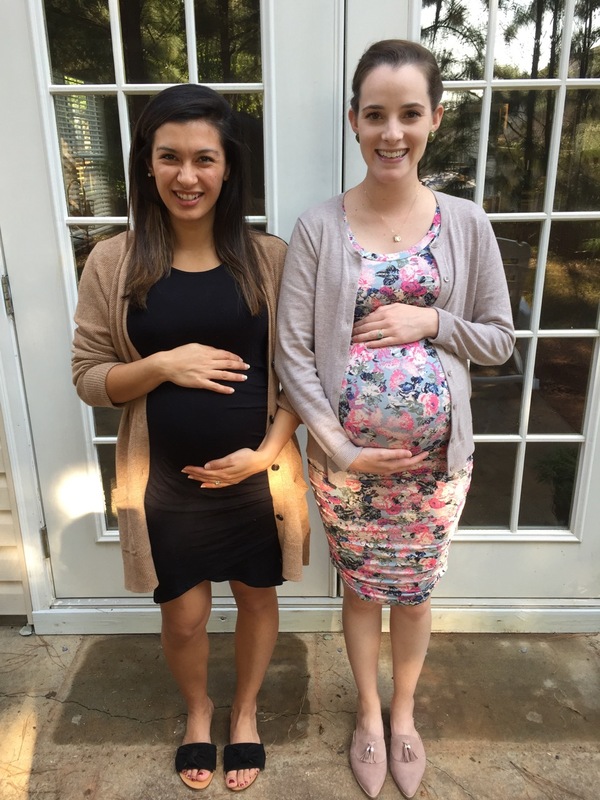 These stretchy “grow with you” maternity dresses are awesome. I have three of them from various stores, but this one is from Old Navy and I love the dark grey color. It’s easy to pair with a cardigan or duster or necklace. 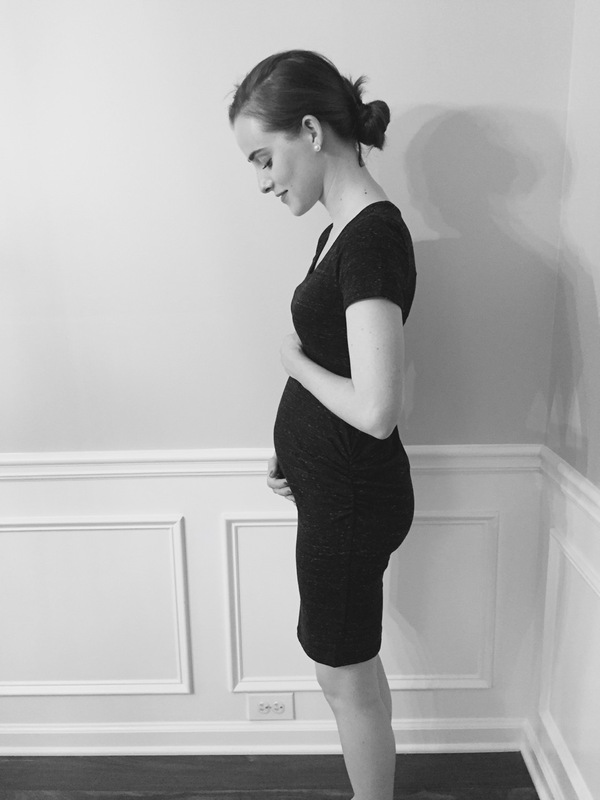 I was about 13 weeks here but have used this dress for my pregnancy photos. 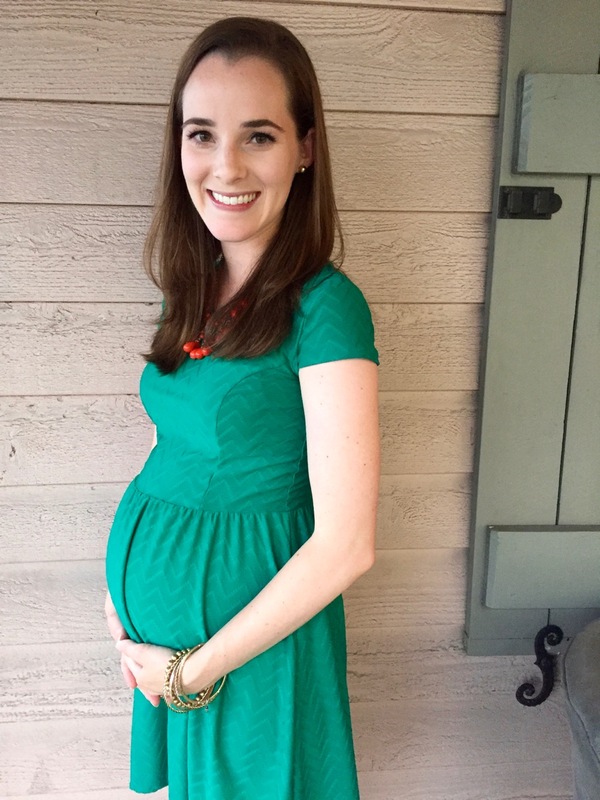 For the second trimester, I found that a lot of my roomy maxi dresses or t-shirt dresses worked well. For a wedding we attended, I even found that I could still wear a stretchy empire waist dress. So, think stretchy, flowy and forgiving clothes that allow your belly to fluctuate. For pants, I found that maternity pants were a must. I started to like the ones that have that panel that goes over your belly (like these or these) because they seem more comfortable. If you have yoga pants that already have that helpful fold-over panel, those will still work well for quite a while. This type of slightly fitted t-shirt dress worked really well up until the middle of my second trimester. 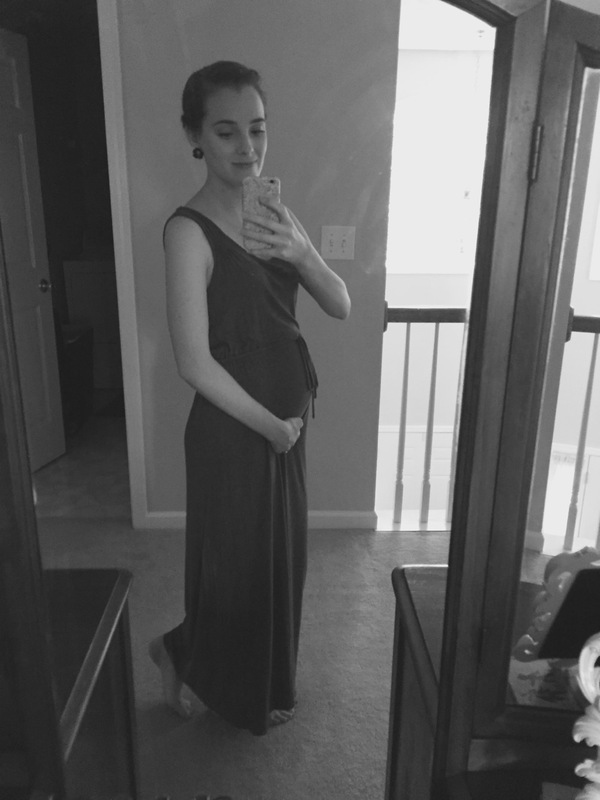 I was 18 weeks in this photo. I’ve had this dress for years, and you can find similar ones at Target or Old Navy. 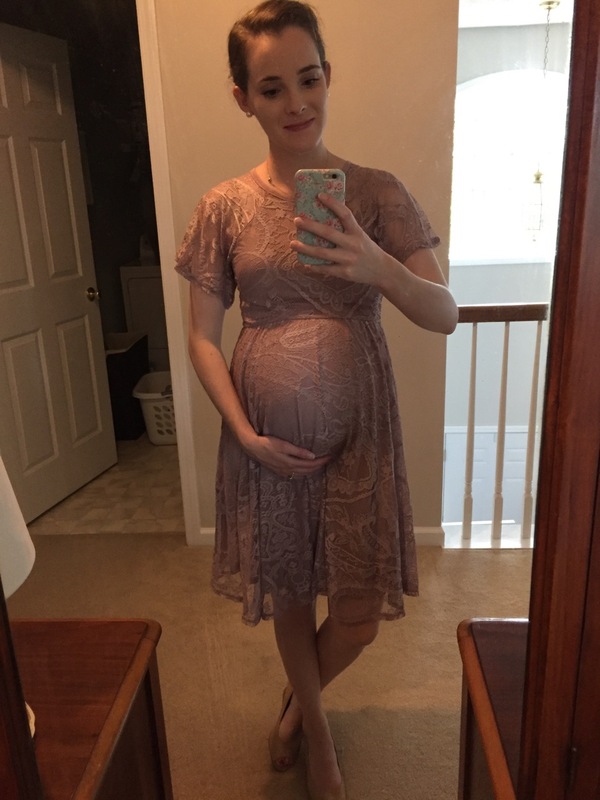 At 22 weeks, I found I was still able to make non-maternity dresses like this one with its stretchy fabric and empire waist work for a wedding. 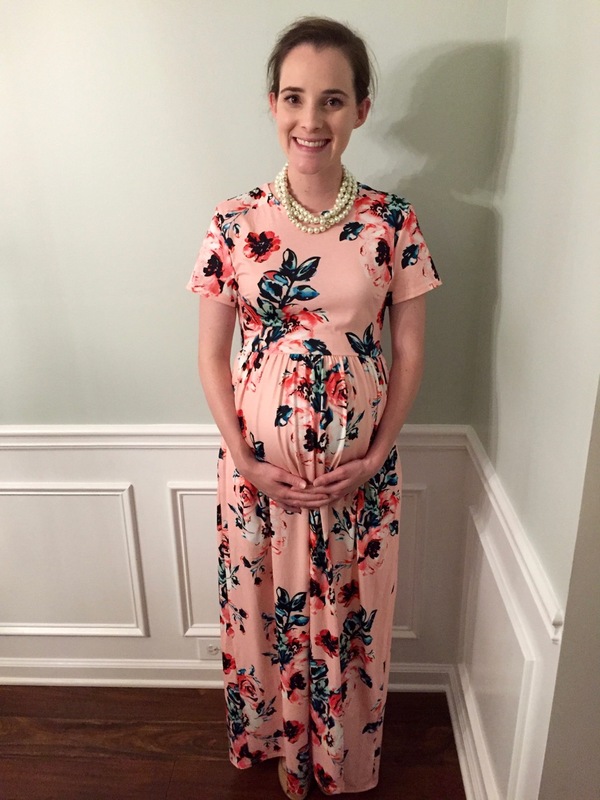 I was 23 weeks here and this is another non-maternity dress that has been perfect the entire time. I got it years ago at Stein Mart and have worn it so many times. Again, it has that empire waist and room to grow. So definitely look for dresses like that.